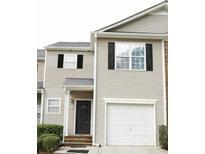 Find Hiram, GA Homes for sale. View Photos, Maps and MLS Data Now! Close To Businesses, Shopping, Restaurants And Schools. Vacant, Show Anytime. MLS#6539454. Still Serving America Real Estate Group, Llc. Lexington Farms - Conveniently Located Near Hospital, Shopping And Restaurants. MLS#8564766. Keller Williams Rlty Atl. Part. Private Fenced In Backyard Area And Easy Access To Downtown Hiram And All The Shopping And Restaurants You Can Find. MLS#6532814. Keller Williams Realty Signature Partners. This Is The Perfect Opportunity For Any Family! Bring Your O Ffers Today! MLS#8556804. Keller Williams Rlty First Atl. Open House On Saturday, 4/6/2019 From 1:00Pm-3:00Pm MLS#8552587. D. Bailey & Associates Realty. 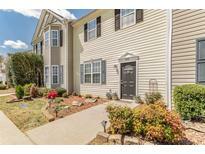 Seaboard Township - This Home Is Full Of Style And In A Well Maintained Community. MLS#6523370. Georgia Real Estate Leaders, Llc.. Finished Basement That Gives Access To The Lower Custom Private Deck. New Flooring In All Bathrooms. MLS#6524206. Keller Williams Realty Atl North. This Is An Incredible Value For The Sought After Harmony Creek Neighborhood In The Hiram School District! 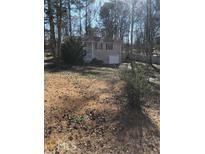 MLS#8547540. Keller Williams Rlty First Atl. Must See This Home Inside!...New Kitchen With Pantry...New Stainless Steel Appliances...New Central Air...New Windows...New Doors...New Paint...New Water Heater...New Laminate Flooring In Living Area...New Carpet In Bedrooms...New Bathrooms...Wood Burning Fire Place...New Trash Disposal...Bathrooms Tiled... All This On A Half Acre Lot With A 2 Car Carport And Plenty Of Room For Multiple Additional Cars...Flat Lot With Plenty Of Yard In Both Front And Back Of Property. MLS#8546912. Angel Quintana Jr..
Highland Point At Waterford - Don’T Miss Out On An Opportunity To Love Where You Live! MLS#8546503. Southern Classic Realtors. Concrete Crawl Space With Boat Door Leaves Ample Space For Dry Storage Of Your Lawn Equipment! MLS#8544917. Express Realty Services, Inc..
Heat Pump Is A Carrier With Infinity Thermostat. Laundry Room On Main Level. MLS#6516687. 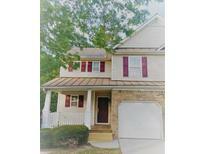 Title One Realty, Llc..
Seaboard Township - Excellent Location Offers Easy Access To Silver Comet Trail. MLS#6514868. Southern Classic Realtors. 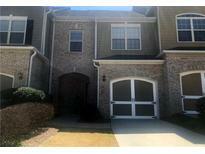 Seaboard Township - Most Of The Townhomes Only Have 1 Car Garage, But This Is A 2 Car Garage! ! MLS#6505950. Maximum One Premier Realtors. Wood Floors On The Main Level, Fresh Paint, Stainless Steel Appliances In A This Quiet Community Located Conveniently In Hiram To Shopping And Hwy 278. MLS#6128979. Maximum One Greater Atlanta Realtors. Five Oaks - Complete With Brand New Stainless Steel Appliances, 2 Fireplaces A 2 Car Garage And A Storage Shed With Electricity. MLS#8509776. Towneclub Realty Llc. Hiram Park - 4Th Bedroom/Bonus Room On 3rd Floor With Huge Full Bath. Great Price/Great Location! MLS#6099526. Farr & Associates Realty. Hiram Park - 4Th Bedroom/Bonus Room On 3rd Floor With Huge Full Bath. Great Price/Great Location! MLS#6099527. Farr & Associates Realty. Hiram Park - Kitchen With Stained Cabinets, Island, Pantry, Gas Range, Microwave And Dishwasher. Great Price/Great Location! MLS#6099513. Farr & Associates Realty. Hiram Park - Kitchen With Stained Cabinets, Island, Pantry, Gas Range, Microwave And Dishwasher. Great Price/Great Location! MLS#6099512. Farr & Associates Realty. Hiram Park - Kitchen With Stained Cabinets, Island, Pantry, Gas Range, Microwave And Dishwasher. Great Price/Great Location! MLS#6099515. Farr & Associates Realty. Hiram Park - Owner'S Suite With Walk In Closet. Great Price/Great Location! MLS#6099520. Farr & Associates Realty. Hiram Park - Owner'S Suite With Walk In Closet. Great Price/Great Location! MLS#6099517. Farr & Associates Realty. It Adjoins Additional Acreage For Sale - MLS#8156404. Braithwaite Realty Llc.